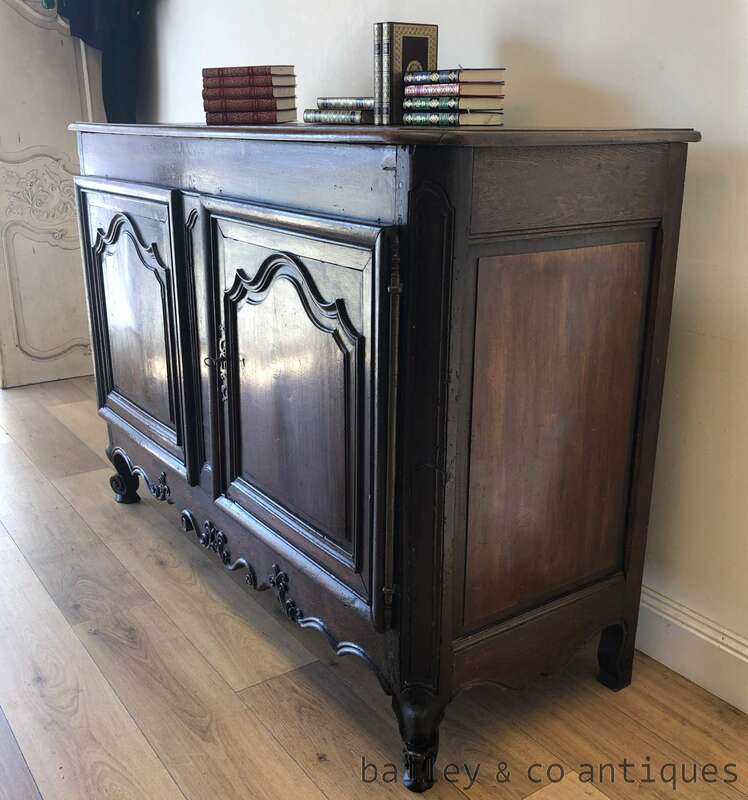 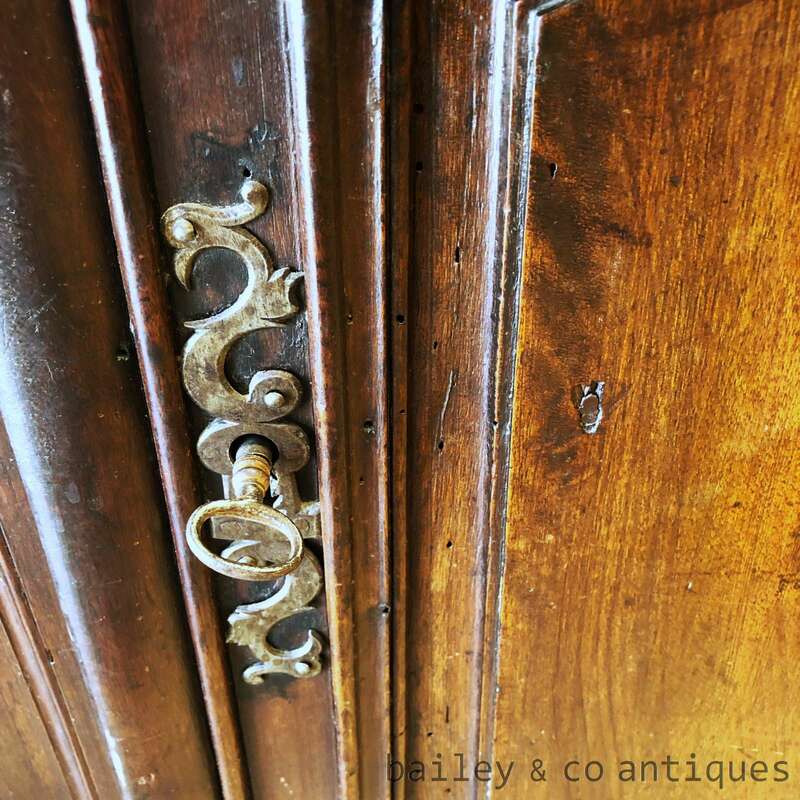 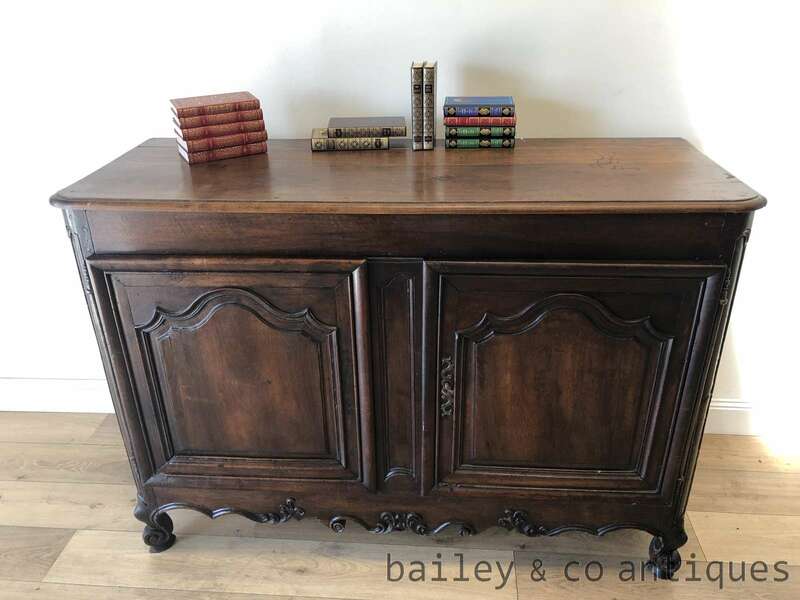 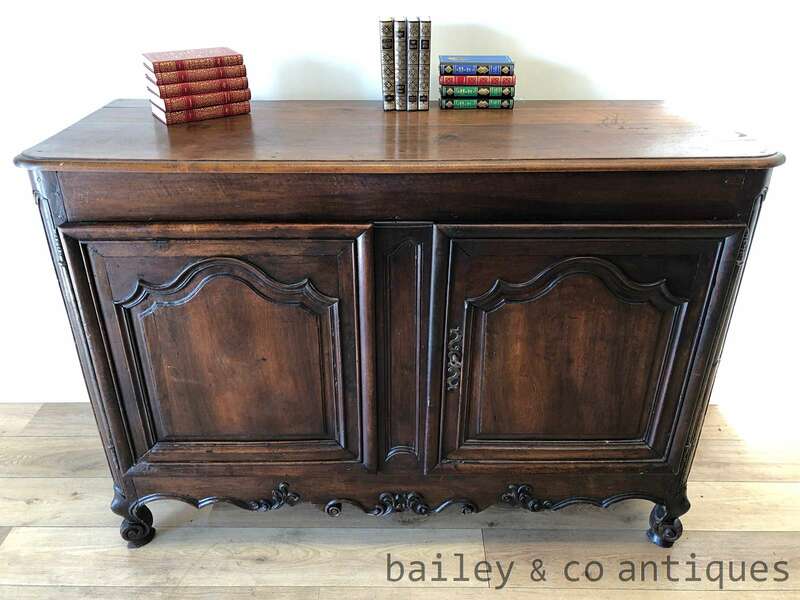 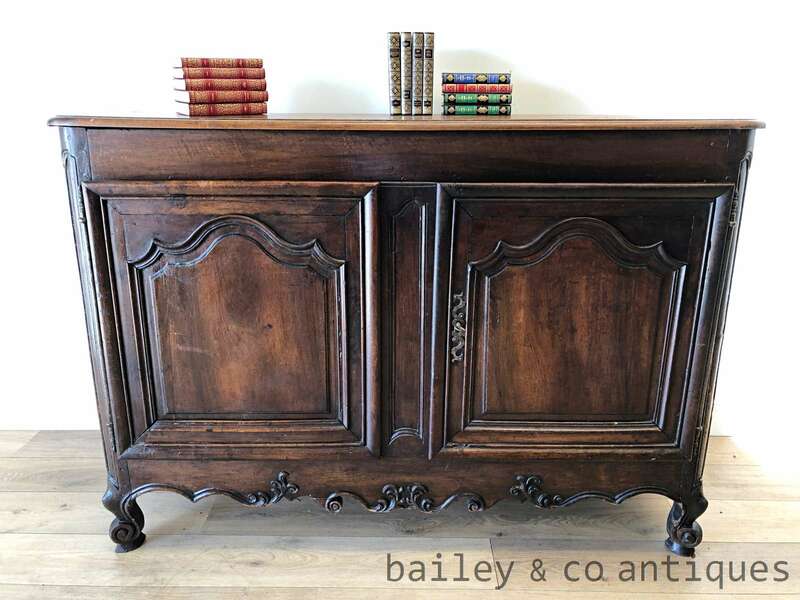 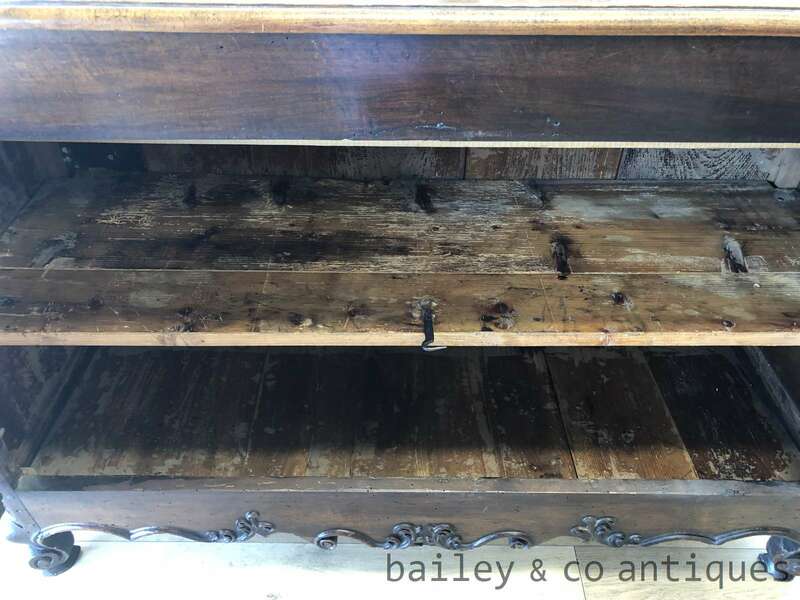 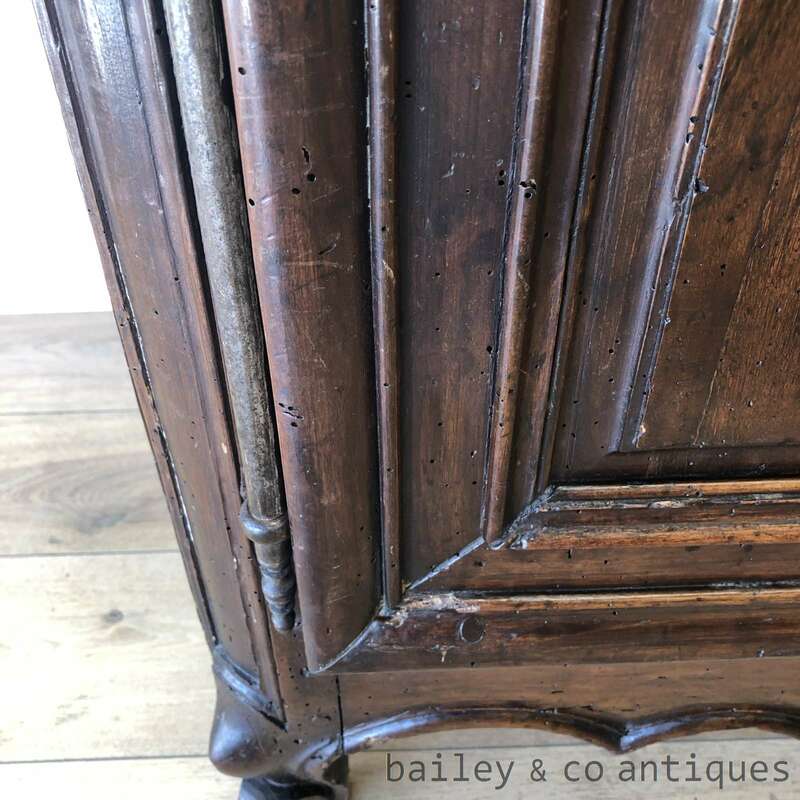 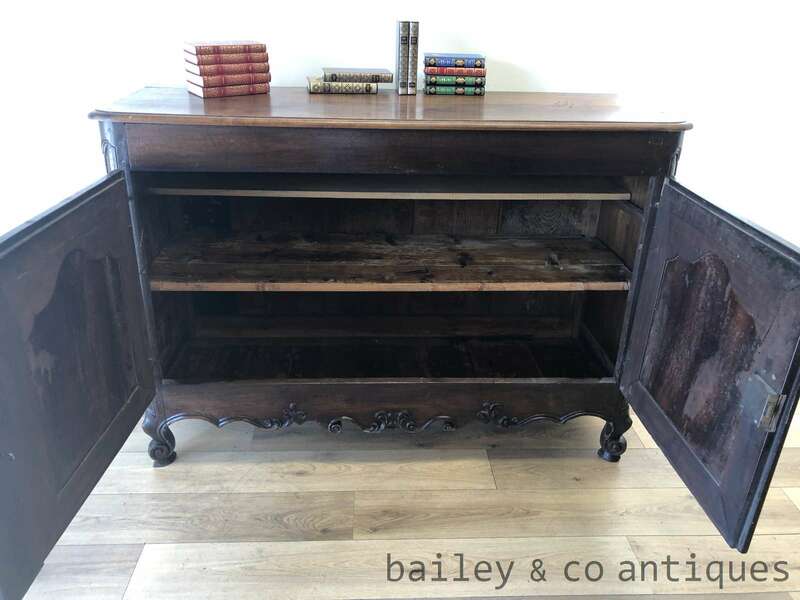 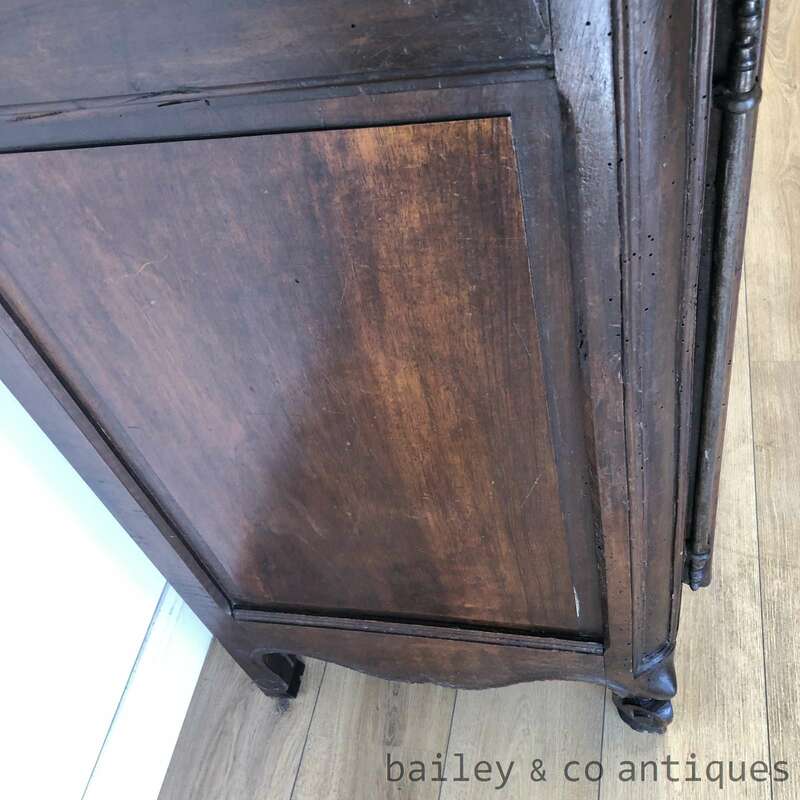 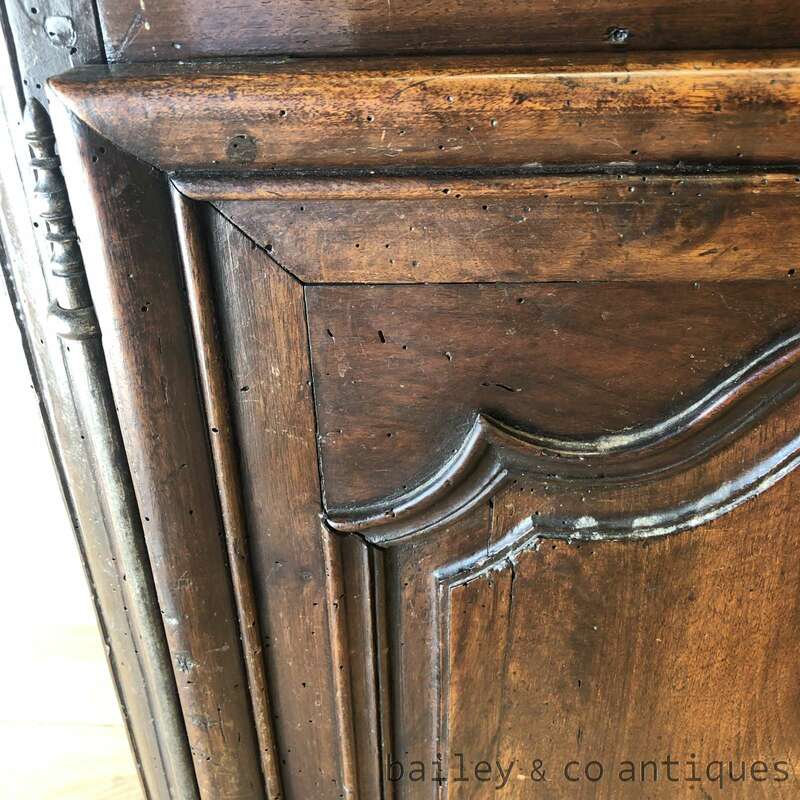 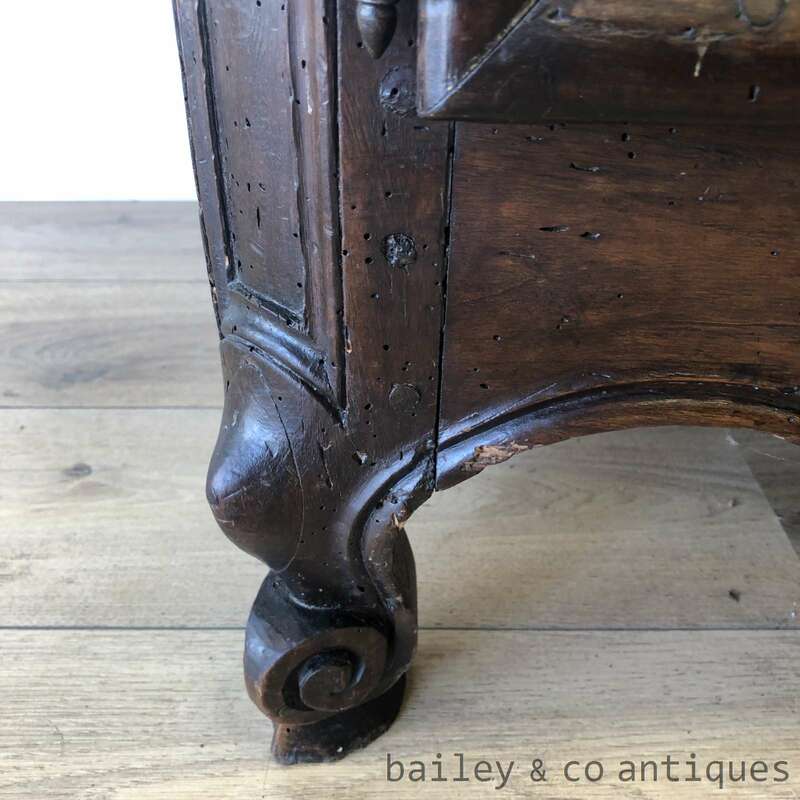 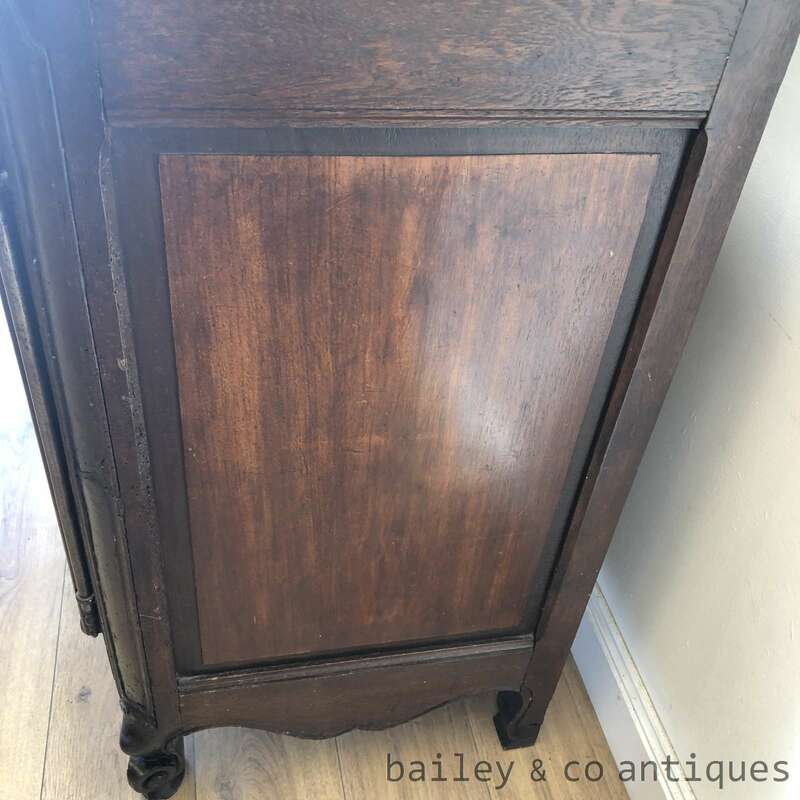 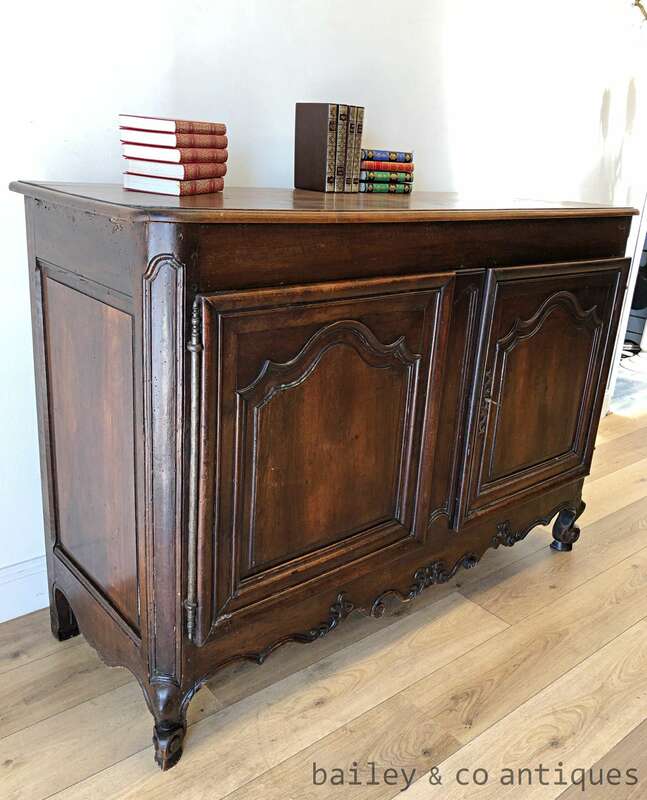 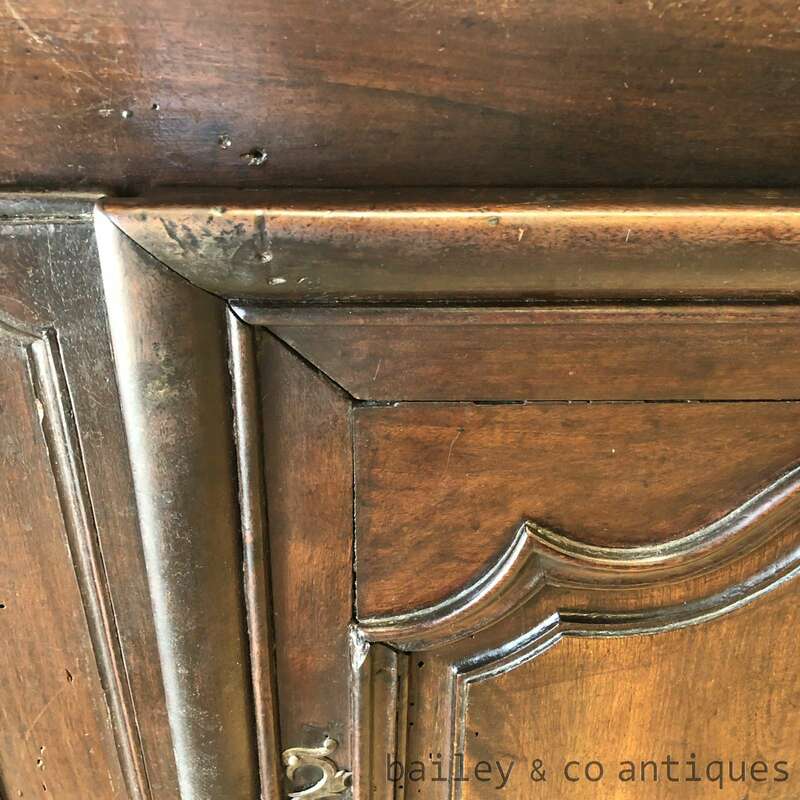 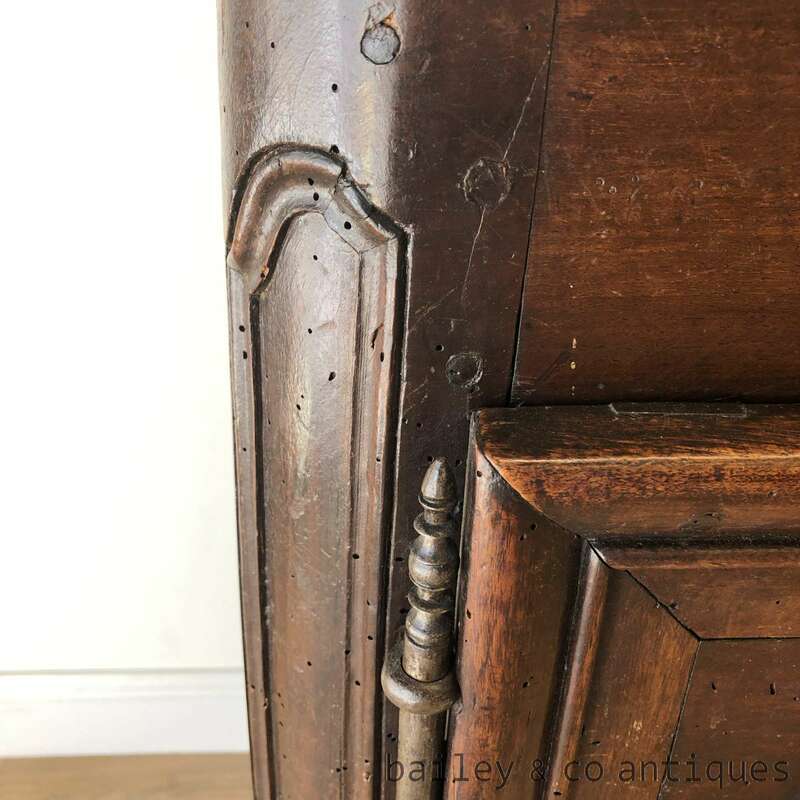 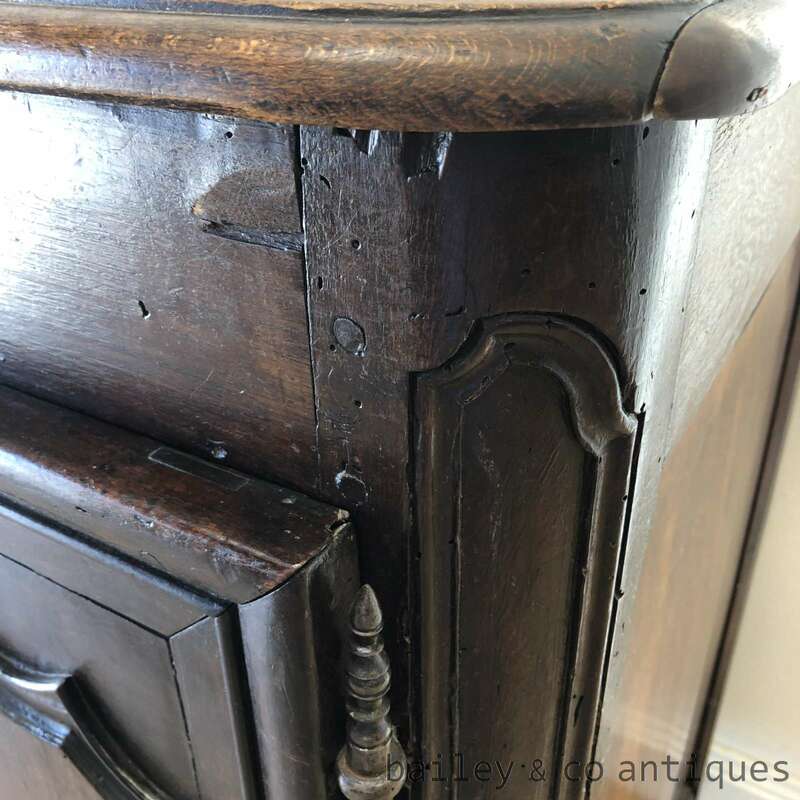 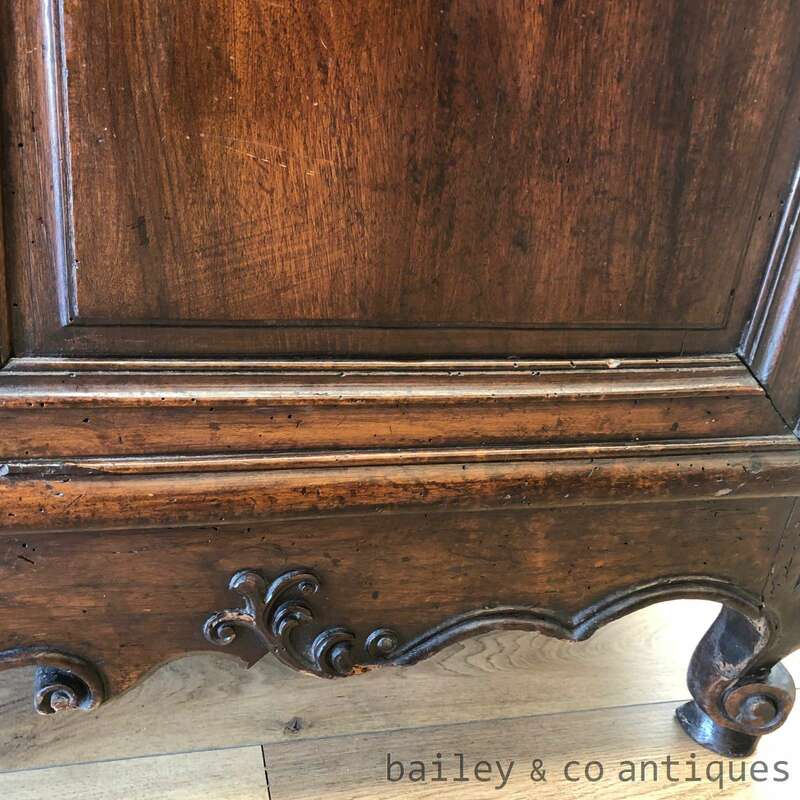 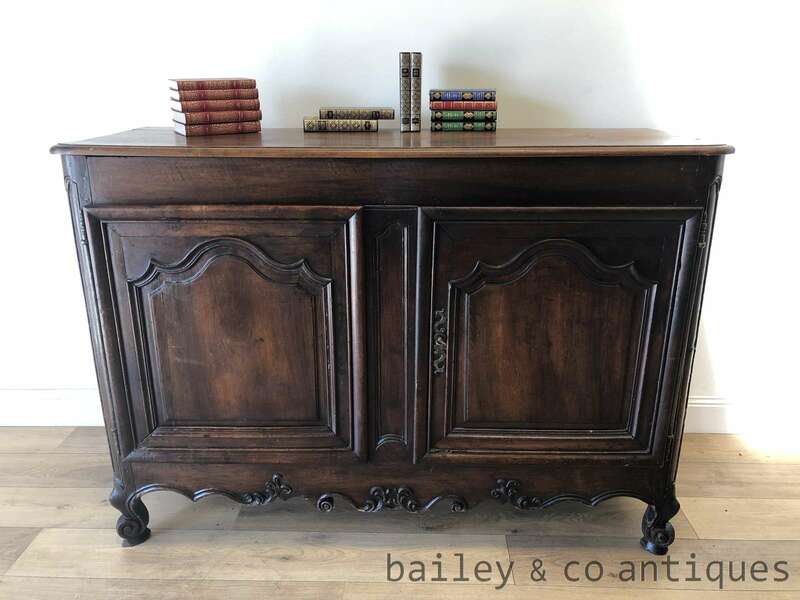 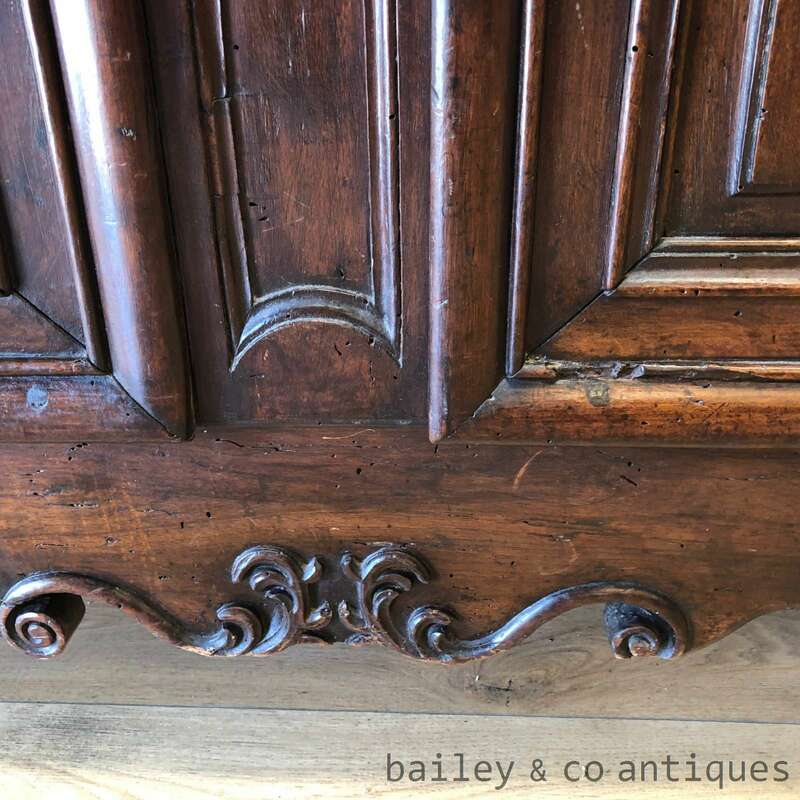 As we are lovers of true antique French provincial pieces of course this is a favourite. 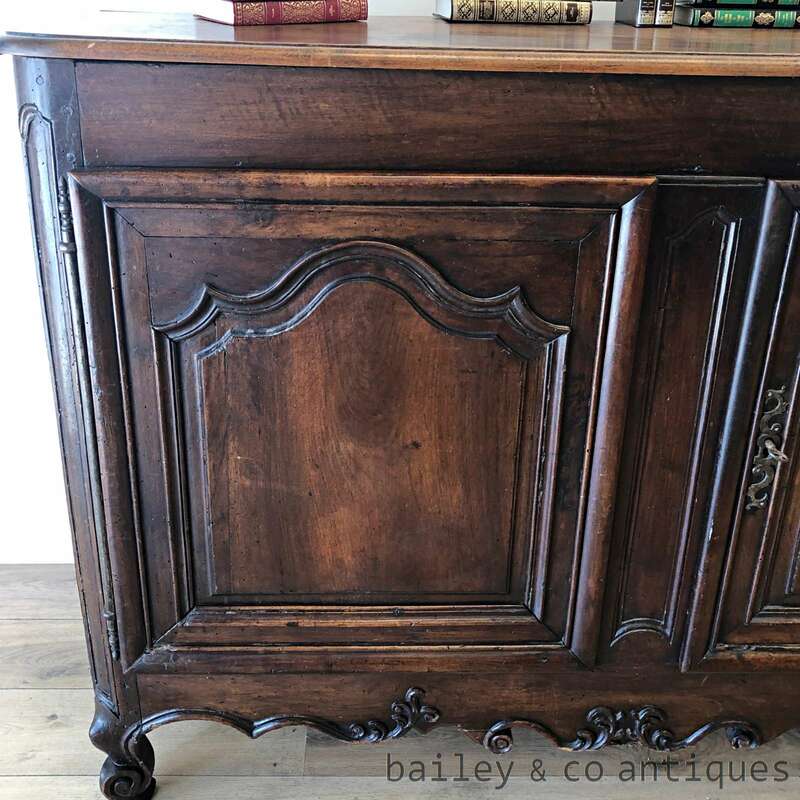 The simple provincial Louis styling and the most amazing dark patina of the chestnut work together so well. 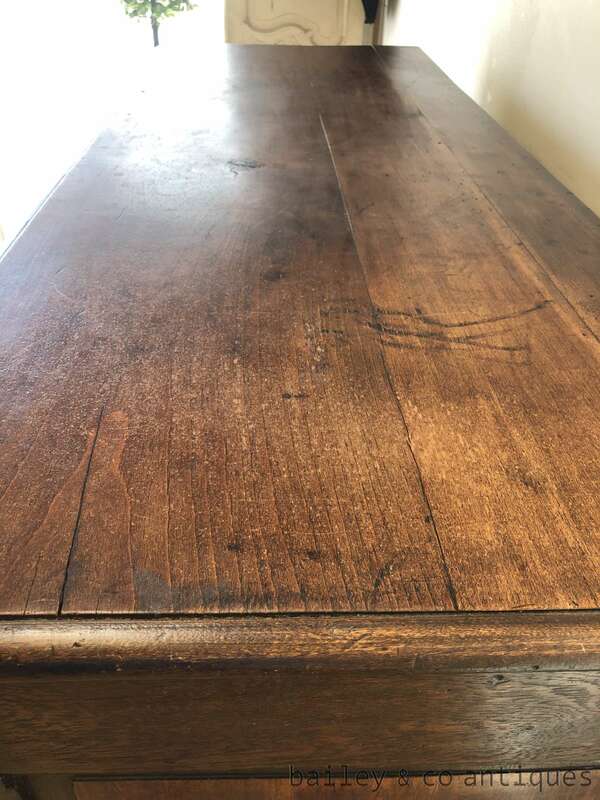 This is a very solid piece. 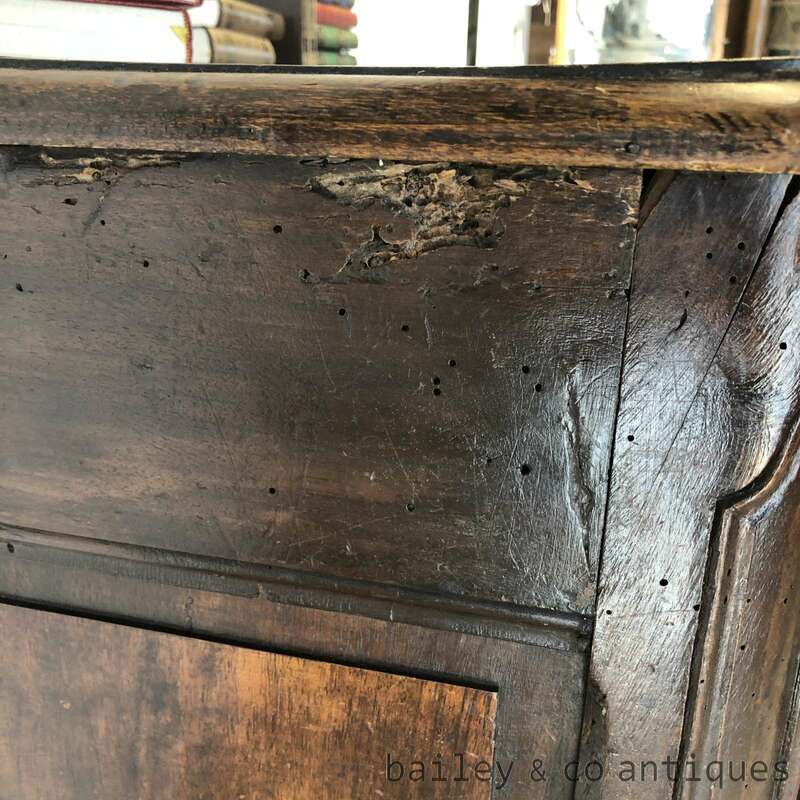 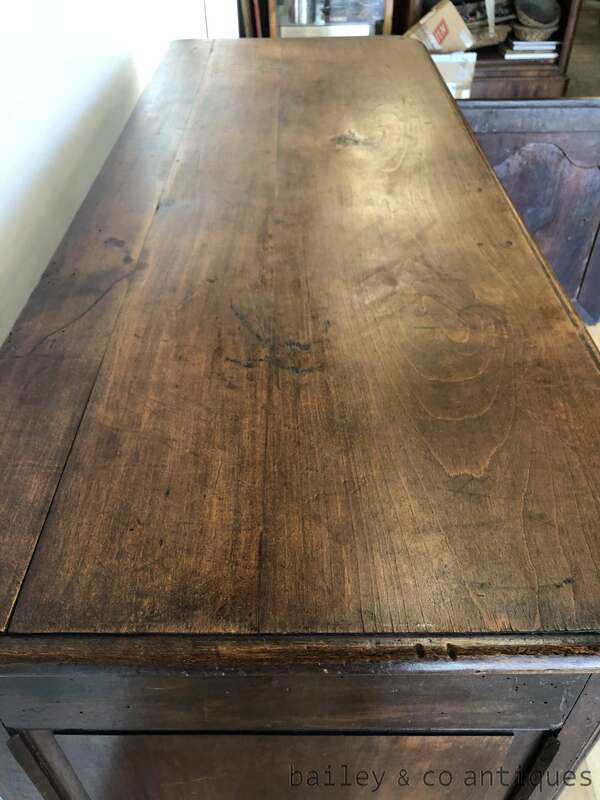 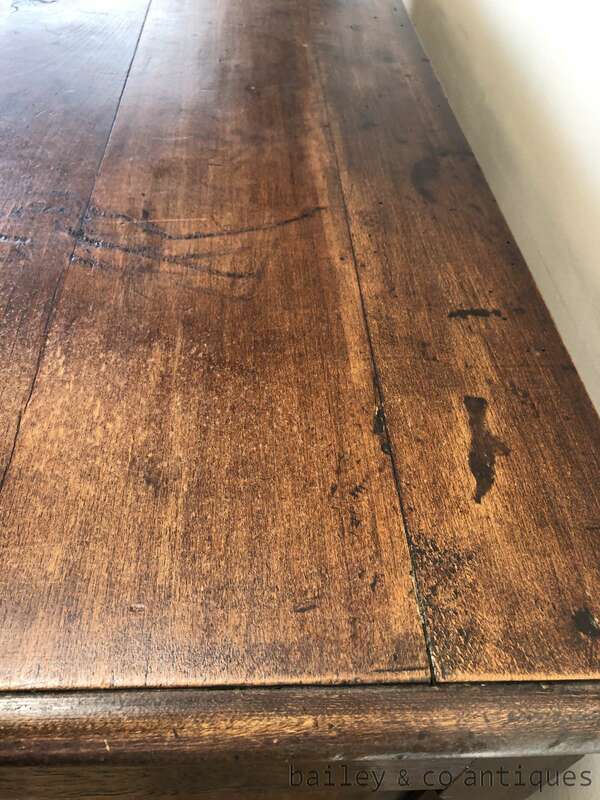 There are old borer marks as shown which is of no concern as all our items are treated by Government regulations upon arrival into Australia. 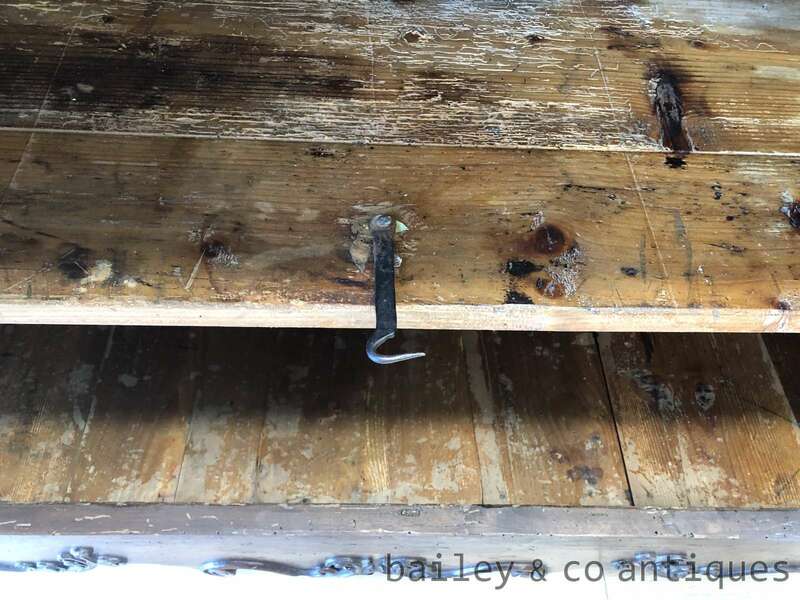 The locking key is in place.